BROOKLYN, NY (JUNE 26, 2017): Pro Sound Effects®, the next level sound effects library company, today released a new sound design tutorial video. Featuring the Pro Sound Effects Hybrid Library, the tutorial illustrates why a professional general sound library is critical for effective storytelling on any audio project. 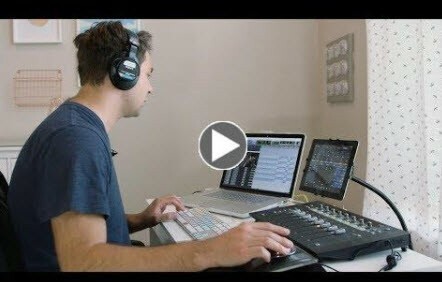 In the video, sound professional Jonah Guelzo (Divergent, RoboCop, Furious 7) uses the Hybrid Library to mix sound effects to support a suspenseful short film scene. After outlining the award-winning features of the Hybrid Library including 63,000 sound effects, online access, and search software, Guelzo takes you through his process from layering backgrounds for the ominous industrial setting, to cutting hard effects for vehicle movements and cloth rustle, and adding EQ and reverb to bring the viewer into the world of the story. "Having a professional, diverse sonic palette is invaluable for speeding up your workflow and producing better sound," says Guelzo. "Whether you're a video editor, sound editor, animator, or game developer, access to a wealth of world-class sound effects is essential to ground the visuals and immerse your audience in the stories you bring to life." on sale now to freelancers for over 60% off until June 30th. Application for Freelancer Pricing application is free with no purchase commitment. Learn more and apply at prosoundeffects.com/hybrid.